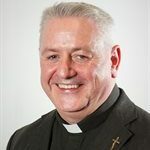 Fr Brian is a priest of the Archdiocese of Westminster. Having been educated at Oxford University, he studied for the priesthood at Allen Hall, the Westminster Diocesan Seminary, and also in Trinidad. He served in Trinidad as a fidei donum priest for a number of years. 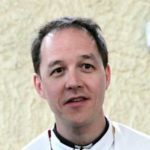 He spent 2004 on sabbatical leave in Toulouse, France, before joining the university chaplaincy team in September 2005.